Being the UK’s leader in heavy duty lifting solutions, TotalKare have launched a range of mobile column lifts for the rail sector. 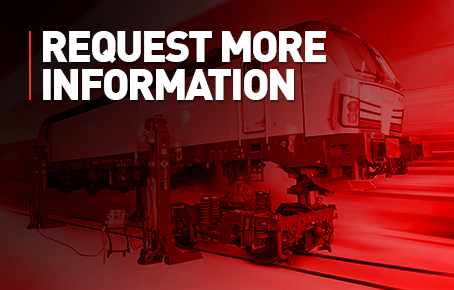 We understand that the rail industry has its own bespoke requirements and have a range of products to suit a variety of applications, whether you’re lifting a single carriage or a complete train. Our mobile column lifts for rail are available in various models depending on the lifting capacity required and can be used in configurations of 4 to 128 columns. Computerised control units provide easy synchronicity across all columns. Protect your investment with a peace of mind AfterKare service package from TotalKare.